At the end of November 2016 I travelled to Jerusalem. My Israel trip plan was a two days stop in Akko in Northern Israel. To visit the UNESCO World Heritage site there and old town. Then I would make the trip to Jerusalem and stay for 3 days. 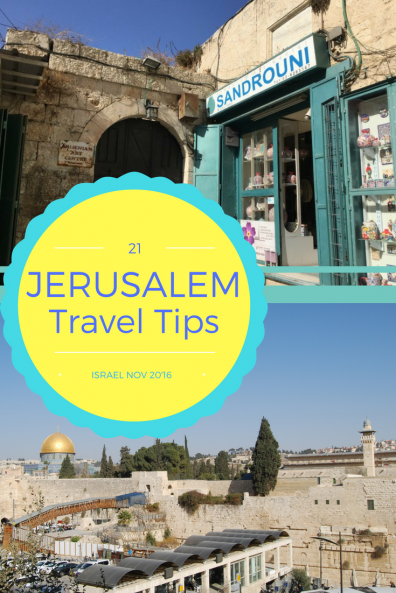 Here I´d like to share my tips for visitors travelling to Jerusalem for the first time. Especially if you are going by yourself rather than in a group or package tour. Even though I am an experienced traveller and speak a few languages. It wasn´t an easy city for me to find my way around. At first I found it tricky. When I came to the end of my week in Israel I had gotten used to the transport system and understood things much more. The hotel where I stayed was part of the Prima hotel group. 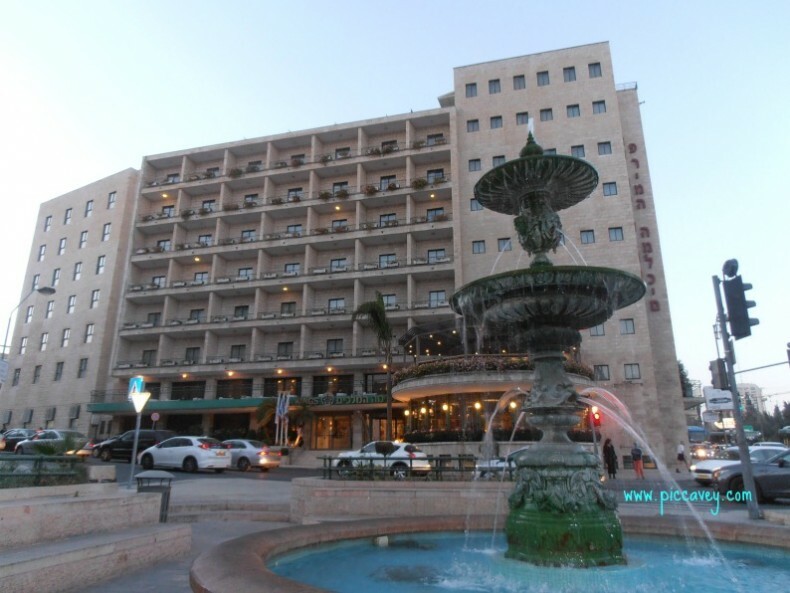 Located in the high end district of Yemin Moshe this Jerusalem Hotel was practical and comfortable to visit the main sights. 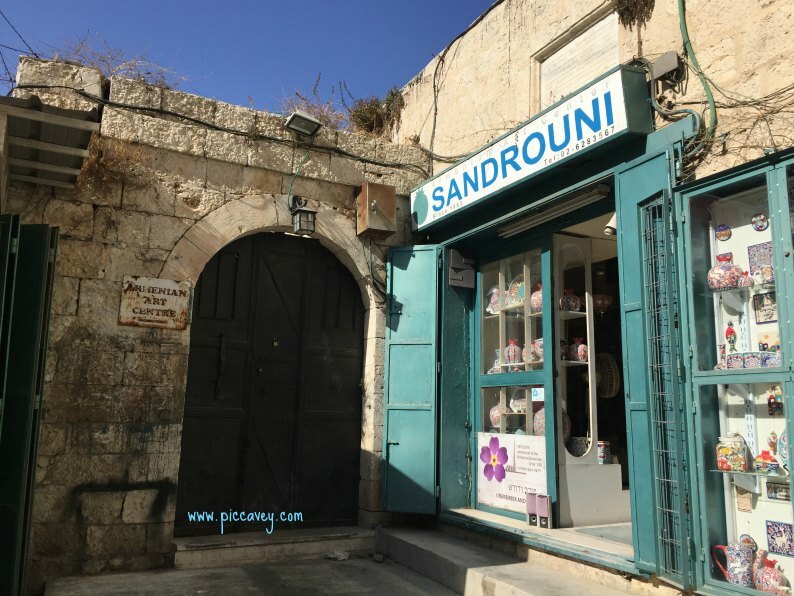 The old town was a about 1 km walk to Mamila mall and the tower of David. This was a good location as there were restaurants close to the hotel on Keren Hayesod St. Walking down a little further past the Montefiore Windmill you come to the first station. The Old Railway Station which is now an area of shops and restaurants with the old railtrack running through it. The Prima Royale Hotel served a great breakfast and they have a roof terrace with views over the city. I imagine that in Summertime the rooftop bar is a fabulous place to enjoy a drink with those views. In this area along the King David Road and around this neighbourhood there are lots of good Jerusalem hotels and I think it´s a good location to stay in. Beauty Tip: One thing I really noticed while I was there is that the atmosphere is very dry. It´s important to stay hydrated (even if it´s not hot weather) and take lots of body cream with you. I have dry skin anyway but while I was there I needed to pay extra attention because of the low humidity there. If you get thirsty or dry skin make the most of the Pomegranate or juice stalls that tou see on every corner. Delicious. So what did I see while I was in Jerusalem? 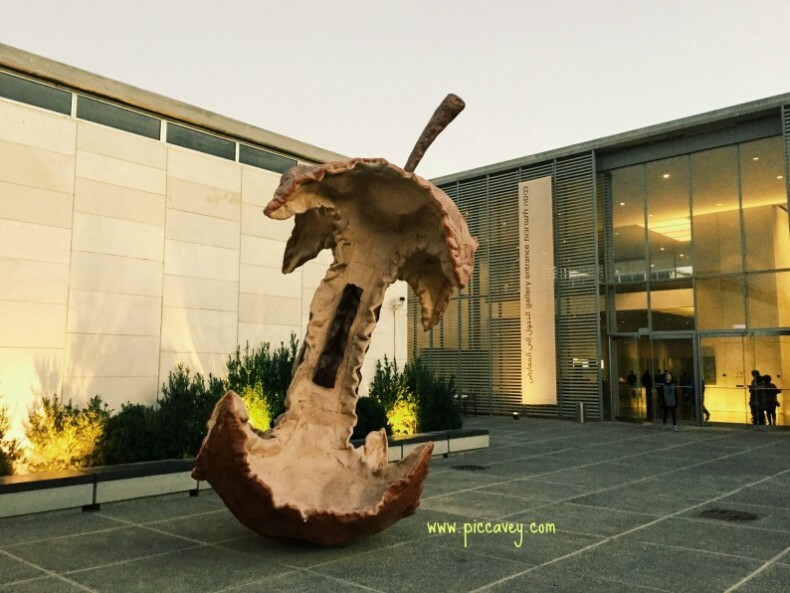 I visited the main sights in the Old Town and the moden museum of Israel which has some amazing archaelogical and historic exhibits. 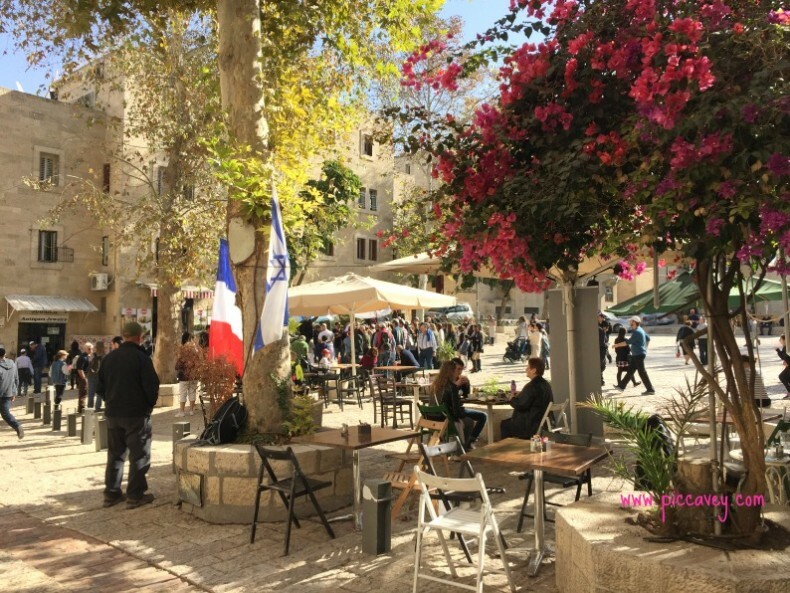 On this post I am not going in detail about these places as I prefer to share practical tips about Jerusalem which I found difficult to find when I was planning my trip. Day One: Guided tour around the Mount of Olives, Via Dolorosa, Garden of Gethsemane. 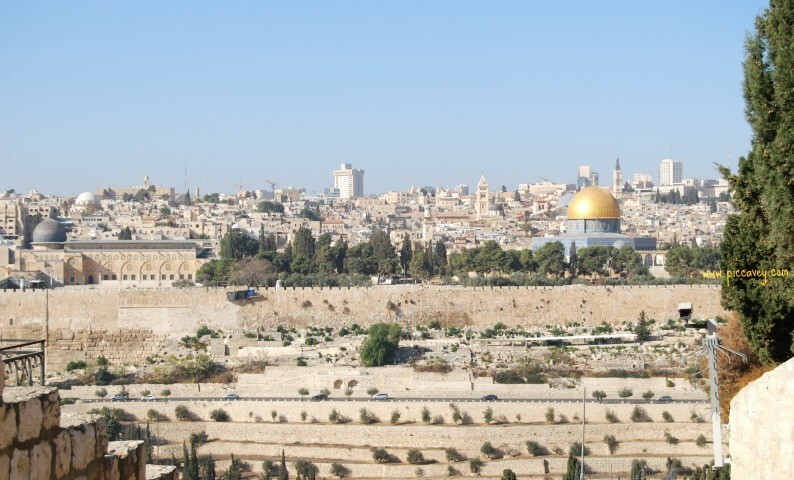 Car transfer to Jaffa Gate and then walking onto the Arab Quarter, Armenian Quarter, through the Cardo, Roman area, Wailing Wall, Jaffa Gate, Church of the Holy Selpulchre and some of the other main sights in the Old city such a the site of the last supper. This walking tour was really interesting but you need to have comfortable shoes and plenty of water. 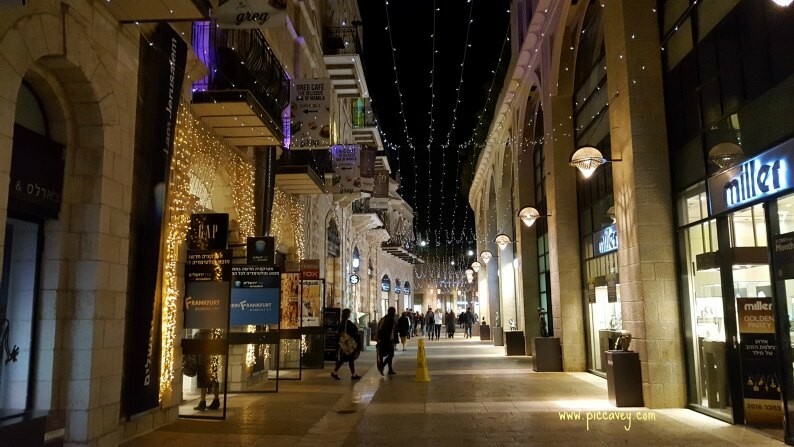 Afternoon: Walking around the commercial area of Jerusalem, Ben Yehuda Street, Jaffa Road (Yafo Road) and Mamila Shopping center. Day Two: Visit to Bethlehem and the Church of the Nativity. (Private car tour) Tower of David Museum. 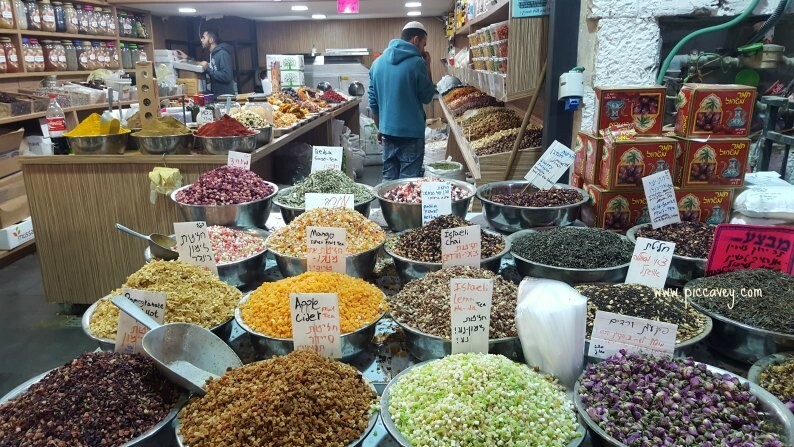 Afternoon walk around the Mahane Yehuda food market. Day three: Visitng the Montefiore Windmill with views across the old town. Walk down to the First Station and onto the German Quarter. The most comfortable way to get from Tel Aviv Airport to Jerusalem is with a Sherut. Make sure you have your hotel name and address written down somewhere which you can show to the driver. If you have it in Hebrew then even better. The Sherut I took from outside the Ben Guiron Airport to Yemin Moshe district cost me 60 shekels (15 euros / 16 $ usd / 13 gbp) Each person pays this amount (depending on the drop off point) So for two of us with luggage it costs us 120 shekels to be dropped at the front door of our hotel. There are other alternatives you can book a private taxi, get the bus or the train. As Jerusalem is a hilly city and some areas are not too safe to be wandering around especially if you are not sure where you are going. Do make sure you plan your transfer ahead of time. Know the route you are taking, the approximate cost and timetables. The Bus station is at the western end of the city and not too handy for the main hotel areas. Another benefit of the sherut is that it runs even on the Shabbat days whereas buses and trains don´t. I did get the train from Akko to Tel Aviv and found the trains really good. They even have wifi connection and plugs too. When you are going to the airport remember that you must leave plenty of time for security checks during the check in and passport control. The queues are long and the checks are quite thorough. If I didnt lose count I´m sure that we passed 7 or 8 controls before actually getting on the plane. I just want to stress that going with the usual 90 minutes before your flight time here won´t work out. Try to get to the airport 3 hours before your flight. 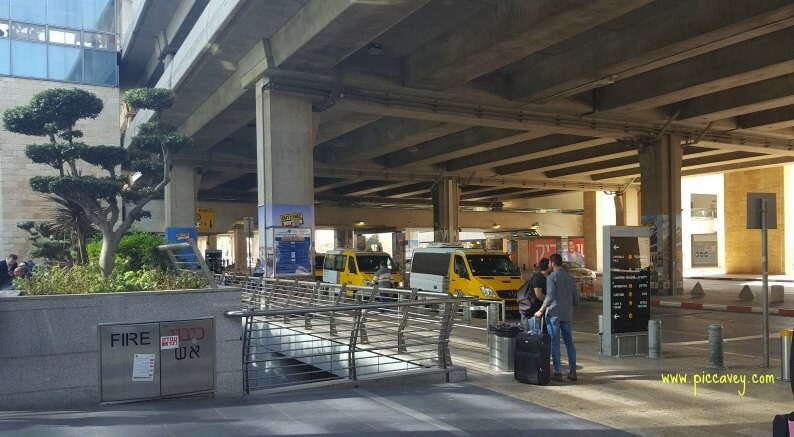 The bus leaves from the bus station and takes about 30 mins to the aiport. However the bus doesnt leave you at the airport. You are dropped off at a busy junction some miles from the airport. Wait at this bus stop along with other passengers for the Bus 5 Airport express. You do not need another ticket, your ticket is valid for this ride too. It can take 15 minutes or so for this bus to come along. Then the route take you in and around the airport stopping at lots of different points and the International terminal seemed to be the last stop. Getting taxis in Jerusalem is quite simple. It is also a good way to get to certain places. I always asked the driver to put the meter on when I told him the address where I was going to. 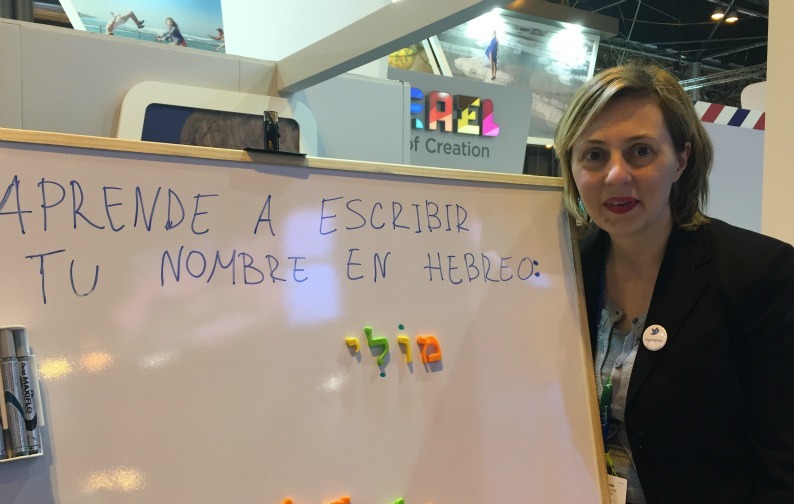 The word in hebrew is ´moneh´ (similar to the english word money right?) if you are unsure you can also point to the meter. The driver may offer you a fixed price but if you don´t know how much it usually costs then you dont know if it is a good price or not. Saying this I caught quite a few taxis while in Israel and all the drivers were courteous and helpful. If sometimes a little sharp with the brakes. In Jerusalem city it´s best to walk as much as you can and when you need to get a taxi. One of the best things about my trip was the Israeli food. I just loved all those vegetables, exotic salads and yummy cakes. In some cases it cost similar prices to a large European city (Madrid, Amsterdam etc) other times it seemed to be a little less expensive. This Israel Budget guide gives more detail about prices. Olive & Fish at Jabutinski 2 – I enjoyed this place so much I went back twice. Mediterranean style food. Open for lunch and dinner. Make sure you leave room for their homemade desserts. Casual but elegant setting. Popular with locals and tourists alike. Machneyuda at Beit Ya’akov St 10, Jerusalem- This restaurant comes highly recommended although I didn´t get to try it myself. Modern Israeli cusine. First station – At the first station there are lots of different cafés and restaurants. I ate at the Kitchen Station but there I was really spoilt for choice. Fish restaurants, Organic food cafés, it all looked so delicious. Beautiful Ceramics in the Armenian Quarter at Sandrouni which is located just inside New Gate. This ceramic center has small and larger pieces they also have some good quality silver items too. Dead Sea Cosmetics. You will see plenty of these on offer. Ahava is one of the most well known and established brands. You may also like to try Premier and -417. Dates, the local dates in Israel are Medjool and they are delicious. Judaica and other religious items abound. 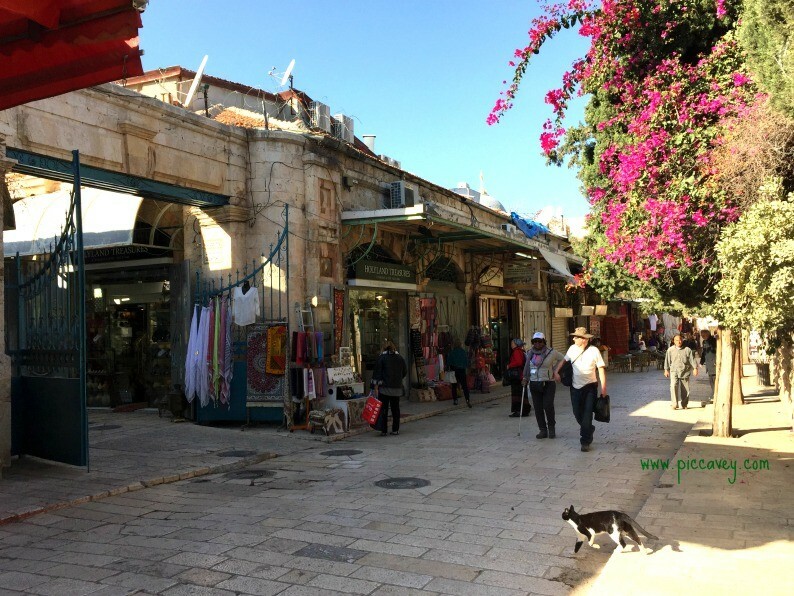 Ben Yehuda has several special stores along that centrally located road. Despite lots of media coverage about the political situation and tensions, while I was in Israel I didn´t feel unsafe at all. Seeing the soldiers walking around with guns does seem daunting. Even though I was there for a week I still couldn´t quite get used to them. However saying that people I intereacted with appreciated that I tried to speak a few words of Hebrew and were generally helpful and welcoming. 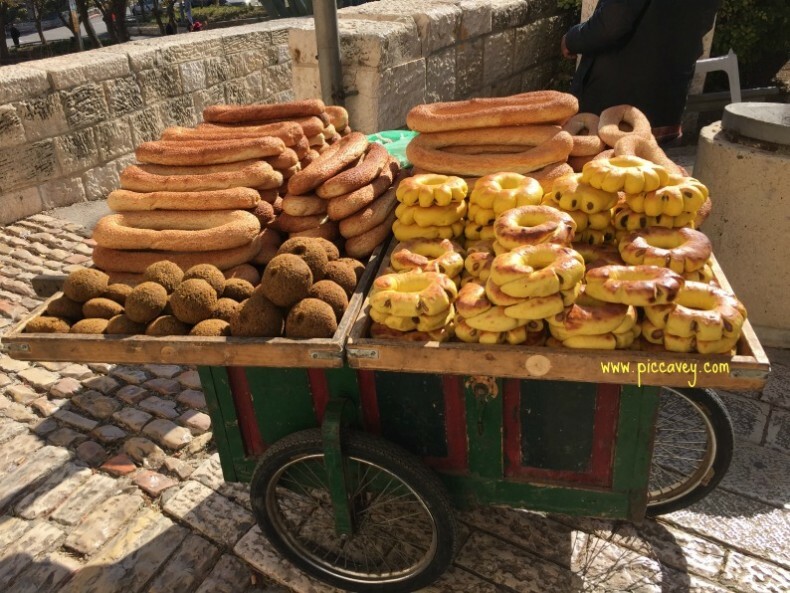 My personal highlights of Israel were the historic sites and the local food I had during my trip. There are quite a few places which I didn´t get chance to visit on my trip. Dead Sea, the Negev Desert or the vibrant capital Tel Aviv for example. Perhaps I´ve be planning to return sometime in the future. I did visit Akko, a beautiful coastal town to the North which I will write up on my next blogpost. 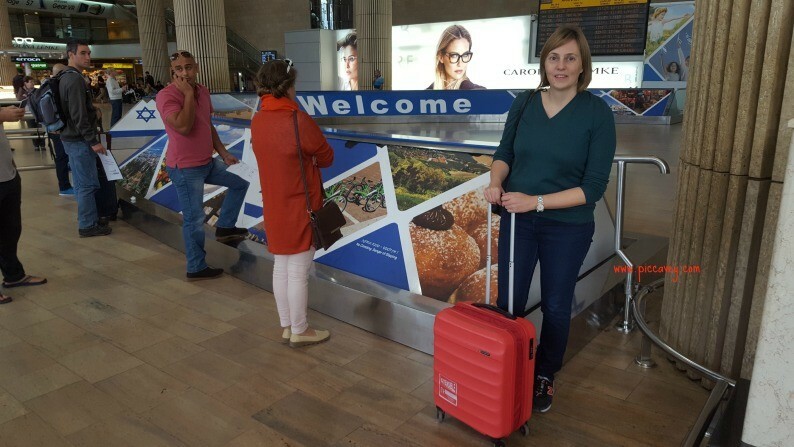 This trip to Israel was arranged by Visit Israel as part of my FITUR Travel Blogger award. Many thanks to the Israel Tourist Board in Madrid for their hospitality. Amazing post!! Just what I was looking for for my trip there next week <3 Thank you for the tips!